Established since 1999, Linda Briggs has organised cosmetic surgery and dentistry abroad for thousands of patients. Read the numerous testimonials on the web site and media stories from satisfied patients. Linda Briggs insists on very high standards for hospitals, clinics, surgeons and surgery. All surgeons must speak English. All prices must be value for money. Would you like to sell your story? For residents of the UK or visitors from abroad/overseas. Linda Briggs has a good range of cosmetic and plastic surgeons, specialists in many fields. A good range of doctors carrying out injectable treatments such as Botox and dermal fillers. Also Beauty therapists, and for hair transplant, lasik eye sight correction. Europe has a lot of options for your cosmetic surgery abroad ranging from day case in Belgium with exceptional value, right up to the best teaching clinic in Spain, with an opportunity to over indulge yourself in some of the wonderful hotels. There is a specialist facial surgeon in Cyprus and many other excellent professionals in the rest of Europe. Eastern Europe is known for it skills in dentistry. 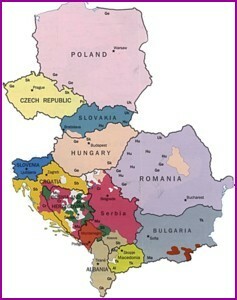 There is an abundance of dentists all over Eastern Europe and Linda Briggs has selected the best. There are also some very good surgeons both cosmetic/plastic and orthopeadic. Linda has also found some exceptional cosmetic surgeons and dentists in particular a specialist nose surgeon in Croatia specialising in Afro Caribbean noses. Turkey is the up and coming destination for holidays and cosmetic surgery. Linda still has some investigations to do, but options will be added here as soon as they are available. Plastic Surgery options in South Africa It's possible to find places offering a safari, but Linda Briggs has found the best, no nonsense, good value for money options for overseas surgery in South Africa. A Paris surgeon also GMC Specialist Registered, operates in Tunis together with many other specialists. 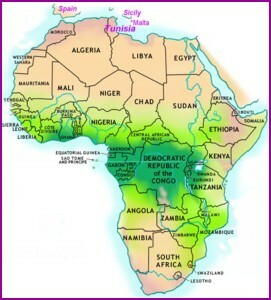 Wonderful location for your surgery abroad, at fantastic prices. Also available gastric banding and a lot of general surgery & Lasik eye sight correction. specialising in mid face lifts. 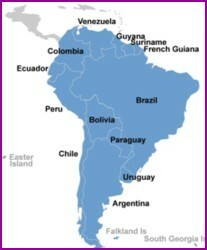 South America is a good location for best value surgery. 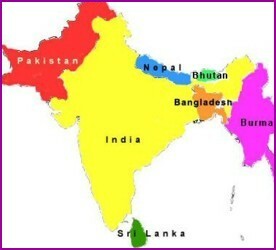 Nearer to the USA than the UK, patients from all over the world have good reports about the services here. 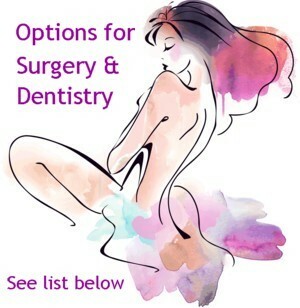 I never ever look at anyone else's site when browsing around for surgery, dentist, etc., your site is the best and easiest to follow, and an enormous amount of work by Linda and her team in sourcing out surgeons' prices, countries is so beneficial for people when they need to start making choices. I will be, hopefully, be getting my dentist work done out in Budapest. Linda advises all patients to follow medical advice given and not to return home too soon, especially with long haul flights, after cosmetic surgery. The article below, states that some patients who had procedures abroad, following complications had to receive treatment within the NHS. Whilst we would not say the report is inaccurate, it does over generalise. It does not name the countries or the clinics/surgeons where these complications have arisen. Neither does it say if these complications are as a result of patients failing to follow any post operative medical advice before returning home. To avoid this Linda Briggs ensures that all our overseas surgeons, listed here, are highly qualified and registered with their countries professionals bodies. The hospitals where these procedures are carried out are also of the highest standards. To put all this into perspective, the UK is not immune from complications following surgery. Linda Briggs has had many cases of patients she has helped to receive revision surgery abroad, following poor surgery from within the UK. The British Association of Plastic, Reconstructive and Aesthetic Surgeons (BAPRAS) has said that the rise of cosmetic surgery tourism is threatening patient safety and is a burden on the NHS. In its latest research, BAPRAS found that in 2007, 23% of its members had to treat NHS patients with complications after cosmetic surgery abroad. In 2007, at least 208 patients were seen by UK plastic surgeons for complications after overseas cosmetic surgery. Three quarters of those required treatment. The research revealed that of these, 26% of patients had to have emergency surgery. 31% opted to have elective surgery to rectify the problem, 33% had none surgical treatment as an outpatient and 8% had none surgical treatment as an inpatient. BAPRAS, research also found no clear NHS policy on treatment of these patients for acute complications of their surgery or for elective revisions of their procedures. Following the announcement, the Post Office did its own research and found 36% of medical tourists failed to check that their travel insurance policy covers them for surgery. A further one in 10 people knew they were not covered but had surgery abroad anyway.